Landlord insurance policy insurance policy covers the dwelling or building that you are renting out to tenants. We know that as a landlord you have a lot on your mind with finding the right tenants, maintaining your properties, collecting rent payments, and doing repairs. You shouldn’t have to worry about finding the right insurance policy to cover your property, too. Let Landeche Insurance Agency take care of that for you. Property Insurance – This kind of landlord insurance covers a single building, such as a single family home, duplex, or triplex, that you’re renting out. You can also include in your policy other structures not attached to the dwelling like sheds or garages. Any equipment you keep onsite to maintain the property, such lawnmowers or tools you use to make repairs may also be covered. Additionally, you can also choose to cover other items like microwaves, washers, and dryers that you own but your renters use. Personal Liability Insurance – This type of insurance can protect you if anyone suffers injuries on your rental property. If you as the landlord are responsible for your tenant’s medical or legal costs, this policy can help cover those costs. Loss of Income Coverage– This sort of insurance can protect you in the event that something like a storm or flood damages your property, and the tenant can’t live in it. With this type of coverage, you will not lose your source of income while making repairs. 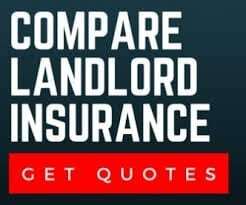 Why is insurance for landlords so important? As a landlord, you have a lot of responsibilities for your property and for those who live within it. But as we all know, natural disasters and accidents can happen. Don’t leave yourself unprotected. Let Landeche insurance Agency help protect your property, your tenants, and even you. Landlord insurance does not cover flood so we offer flood insurance for you rental property.